There’s more bad news on the meat production industry front! Recent studies conducted by the Johns Hopkins University Center for a Livable Future and Arizona State University found caffeine, active ingredients of Tylenol and Benadryl, banned antibiotics and even arsenic in samples collected from U.S. poultry farms. Like human fingernails, feathers retain traces of chemicals and drugs the animal was exposed to or ingested making it easy for scientists to analyze. 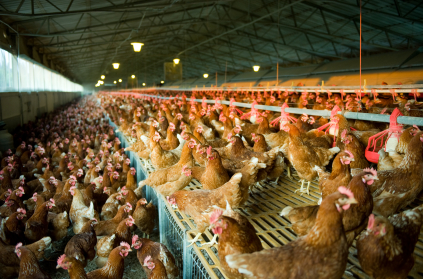 Studies conducted revealed that in an effort to produce meatier chickens, poultry farmers are feeding the birds coffee pulp and green tea powder to keep them awake so they spend more time eating. To keep the chickens calm, they are subsequently fed the same antihistamine found in Benadryl and acetaminophen which is the active ingredient in Tylenol as chickens under stress tend to grow more slowly and produce tougher meat. Arsenic, which is used to prevent infections and makes the chicken flesh a more appetizing shade of pink, was also found in the samples, and if that’s not enough, feather-meal samples from China contained the same active ingredient and antidepressant found in Prozac. While scientists have not yet confirmed an immediate health risk to humans, the allure of inexpensive chicken from the grocery is quickly depleting my appetite. Additionally, feeding livestock antibiotics increases the likelihood of developing antibiotic-resistant “superbugs” which kill more American’s annually than AIDS. If there’s one thing Passanante’s feels strongly about it’s the necessity to provide safe, chemical and toxin free, delicious foods to our customers and their families. Save yourself the worrying and make the choice to rely on our organic food delivery service to provide you with the nutrition and peace of mind you deserve. Give Passanante’s Home Food Service a call to schedule an appointment and get on the road to a healthier lifestyle! This entry was posted in Food Safety and tagged Antibiotics in meat, Arsenic, Food Delivery Service, Johns Hopkins University, Meat Delivery, Organic Food Delivery Service, Passanante's Home Food Service, poultry by Passanante's Home Food Service. Bookmark the permalink.